While some couples enjoy the extravagant festivities of a large wedding, there are many who are interested in hosting a more intimate and relaxing affair. A small sunset wedding on the beach, surrounded by your closest family and friends is a beautiful and memorable way to begin the next chapter of your life. Intimate weddings usually include 75 guests or less and provide a wonderful opportunity to create a unique and unforgettable experience. Whether you are interested in sharing your vows along the Florida coast, aboard a cruise ship or in a tropical garden, a small guest list makes it a possibility! Hosting a big wedding means you can only choose from the biggest venues, but an intimate celebration gives you the flexibility to be creative. Your dream destination can become a reality with a guest list that only includes those closest to you. Planning a wedding is a lot of work, but hosting a smaller-scale event will make the workload lighter. With fewer invitations to address and minimal time spent on the seating chart, you will have the time to work on the DIY centerpiece idea you fell in love with months ago! Instead of bustling around from table to table, greeting and thanking your guests, a smaller guest list will give you the opportunity to make memories with those closest to you. This is your big day, so mingle and celebrate along with a group of family and friends who have loved and supported you for years. Bonus: A cozy reception will give your families time to get to know each other as well! 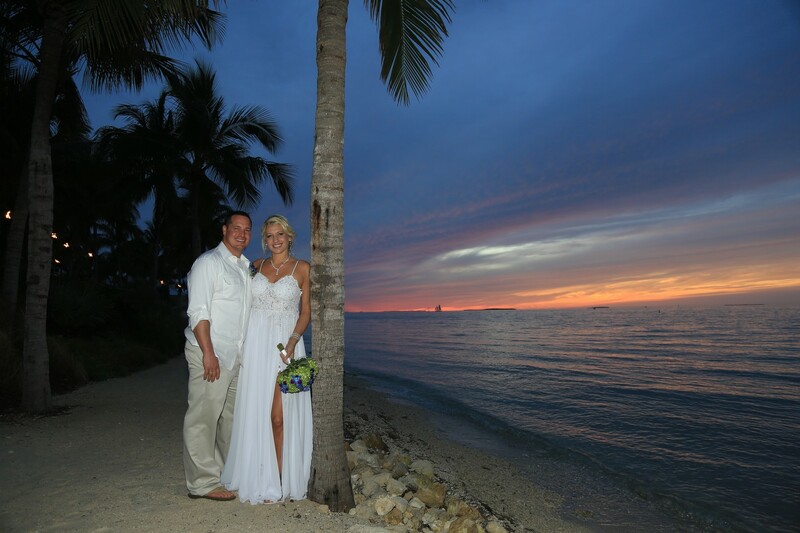 Make your dream wedding a reality with Aaron’s Key West Weddings. From the ceremony location to the cake and music, we can customize all aspects based on your desires and budget. Contact us online or by calling 305-293-8809 to learn more and begin planning your special day.